The SIPA | Who is the real criminal here? 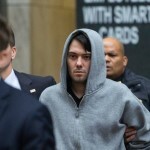 On December 17th 2015 the SEC announced formal charges against Martin Shkreli and his Lawyer for committing Securities fraud, embezzling money from his hedge fund and a variety of other charges. The SEC also said he made misrepresentations to his ‘Executing Broker Dealer” regarding the location of stock he was selling short. Shkreli was the CEO of Turing Pharmaceuticals that makes an important drug in the fight against HIV and other diseases. Before we start to do our typical head scratching and ask the common sense, street smart questions that nobody else will, we want to preface our analysis by first pointing out that this is a very bad man and human. His drug company was making money hand over fist with their product and was selling it at $13.50 per pill to needy people. However, once he had some financial issues, he hastily raised the price. He didn’t raise it to $15.00 or $25.00 per pill, but rather raised it to a mind blowing $750.00 per pill ! There was tremendous political and press backlash regarding this gouging and Mr. Shkreli merely shrugged his shoulders and basically said: “too bad for you sick people”. He is the type of person that if you saw him drowning you might think about checking your fantasy football lineup on your phone for a few minutes instead of throwing him a rope, if you know what I mean? In this case the Broker Dealer, which conspicuously has not been identified, relied on the hedge fund client to basically take their word for it that they will be able to borrow the stock? It can be argued that the Brokerage firm failed to live up to any of the 3 basic requirements required to sell stock short. How do we know that they didn’t make an arrangement to borrow the stock? Because the SEC goes on to state in its complaint that the executing broker lost over 7 million dollars buying back the short shares at the market because there was no stock to borrow. It’s truly amazing to think of the complete and utter lack of risk control at this brokerage firm which we suspect will turn out to be one of the large Wall Street firms we always hear about. This has been a growing problem for many years on Wall Street when it comes to risk management and hedge funds. The Wall Street firms salivate over the big hedge fund accounts while turning a blind eye toward mortgage derivative risks, market crashes, and even short selling risk. How many more firms have this same practice in which they just ignore rules and regulations already in place? There is also another crime going on hidden inside this complaint that has not been addressed: Market Manipulation of the company that was shorted. Ignoring Reg SHO and selling 32 million shares of the company most surely caused investors in the company to see a steep initial decline. Think about how many investors saw that steep decline and sold at a loss for fear of losing everything when in fact, it was an illegal sale in violation of SEC laws. Amazingly though, this complaint doesn’t name the firm (or even give the name of the firm) for blatantly breaking the law and causing financial harm to investors as well as putting the firm at risk of needing TARP money once again. 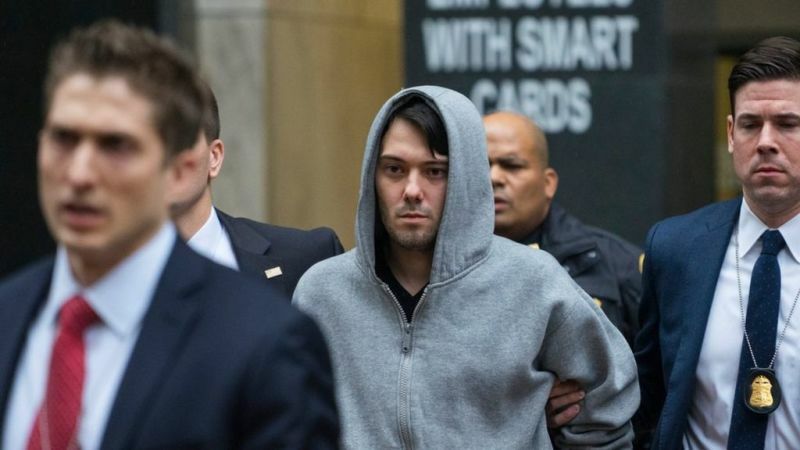 I’m almost convinced that perhaps Mr. Shkreli is nothing more than an obvious target that the crowd can all unite behind and point at and call him names while the real bad guys operating in the shadows are closing the books on yet another scheme. By my calculations, investors in Mr. Shkreli’s hedge fund lost about 3 million dollars, which is far less than investors probably lost in the market manipulation. What do you think? Please leave you feedback. I absolutely agree with your conclusion. As a matter of fact little Shkreli seems to have very adamant in becoming the center of attention in this whole issue. The whole affair is so utterly strange in so many ways that I tend to think little Shkreli might be the willing fall guy for much more powerful interest. Interest that obviously make a lot more than just a few million by manipulating securities. I know it sounds a bit paranoid, but so much of the story makes little sense, it is hard not to wonder. ← What is Attorney-Client Privilege?